The Chehalem mountains are a small mountain range in Oregon that separates the Wilamette and Tualatin valleys. There are many wineries that dot the hills and valleys of those slopes, producing some of the finest wines in the region. This scarf is meant to evoke the gentle and drastic slopes of those small mountains and pay homage to the dedication of the many vintners that ply their trade. 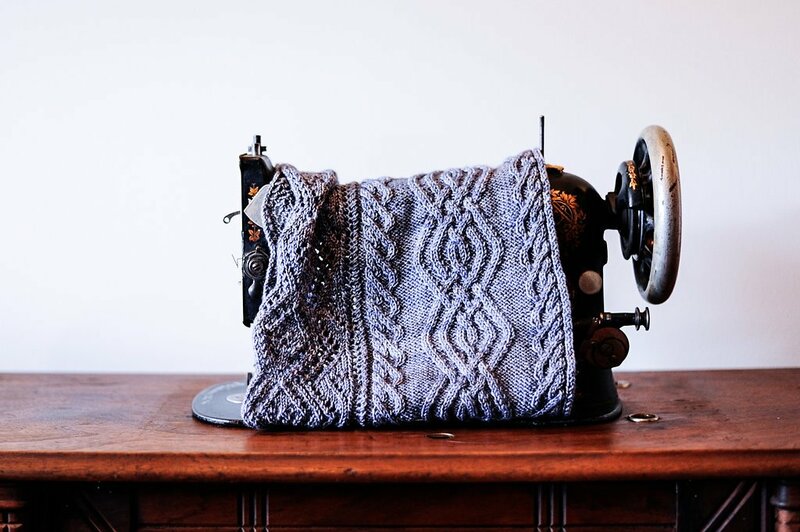 With a generous cable and lacy points, this provisionally cast-on cowl is worked from end to end and may be adjusted for length as the knitter desires. This pattern is meant for an intermediate knitter or a more experienced mid-level knitter as the chart can be difficult to follow.